Whisk vigorously until thoroughly combined. Add cabbage and apples and gently toss to coat with the vinaigrette. Stir in cranberries and pecans and gently combine. This slaw is delicious served with grilled chicken or pork. Add a bit of crumbled blue cheese or shaved parmesan for another layer of flavor. Harvest Slaw may be served immediately or made one day ahead. If prepared ahead, it will have a softer texture and tangier flavor. Other than butter, another of my revered and favorite cooking ingredients, is extra-virgin olive oil. It is said that one sure way to start an argument between the Greeks, Spanish, Italians, Turks, and even the French, is to ask which produces the best olive oil. Do we dare throw California’s hat into that ring? Here are some thoughts on why we might want to do just that. On the delicious rounds of our Old Pasadena Tasting Tour, we enjoy oil and vinegar tastings at Beyond the Olive, a beautiful boutique dedicated to California olive oils and mostly local, fine artisan-crafted gourmet products like balsamic vinegars. Husband and wife owners Chip and Crystal Reibel are proud to share products they are passionate about while educating guests on the joys of buying local, especially when it comes to quality olive oil. Chances are we’re being duped. We’ve learned from them, that even though we think we’re purchasing and delighting in Europe’s pure, high-end olive oil here in the US, chances are we’re in fact being duped. 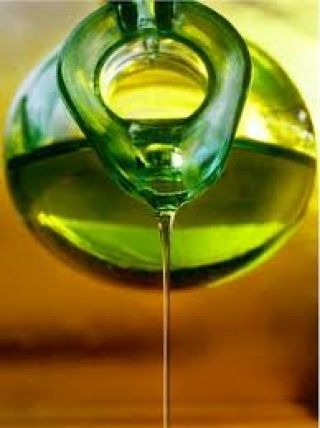 Extra-virgin olive oil is made from olives only and entirely by mechanical means, which means no chemicals, solvents, or high heat. Further standards for grading oil accordingly have been set by the International Olive Council (IOC) but, the US is not part of this council. In short, while both California and Connecticut have both passed laws adopting the IOC standards, enforcement of these laws can still stand to improve. European oils that fail to qualify as extra-virgin by their domestic IOC standards are shipped to the US, and that is typically what we buy. Beyond The Olive gently encourages the support of local growers and artisans by extolling the virtues of California products, beginning with their exquisite extra-virgin olive oils. Having spent significant time with growers to become intimate with the process of producing premium-quality olive oil, Chip and Crystal are sincerely committed to educating consumers about the oils’ production, varieties, and attributes ... through fabulous tastings in an inviting, comfortable atmosphere! Why not let us introduce you personally to their amazing flavors on our Old Pasadena Tour? Meanwhile, please tour their site which includes a host of amazing recipes and their cooking class schedule. Here’s a dish divined by their own Chef Amy we thought you would enjoy at your autumn table which includes their Peach White Balsamic Vinegar ... talk about exquisite!